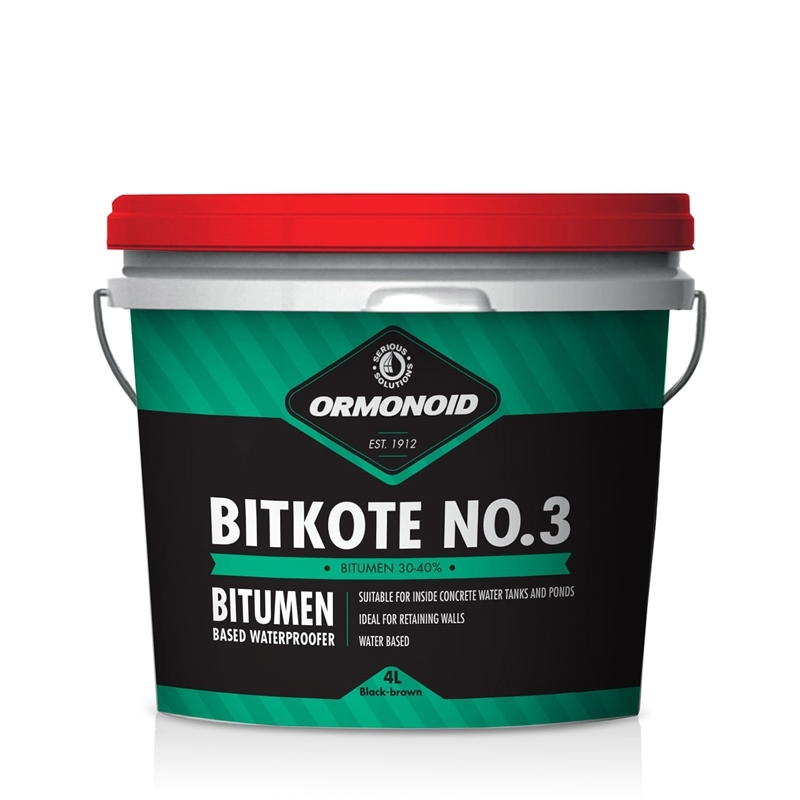 Ormonoid Bitkote #3 is a black-brown water based dispersions of bitumen and modifiers, which dry to a black, flexible and water insoluble coating. Bitkote No. 3 is suitable for general purpose repair and protection. Ideal for the sealing of most timber, metal, brick, concrete and cement sheeting surfaces against water entry. 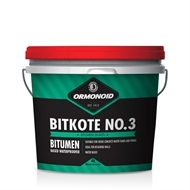 Bitkote #3 has good resistance to water, alcohol, animal wastes, most dilute salt, acid and alkali solutions to last longer in demanding conditions.